Abu Dhabi – January 17, 2019 - Finance House (FH) has officially announced the latest development in its Card offering which comes as a result of its partnership with Samsung to offer Finance House’s Credit Cardholders seamless payments through Samsung Pay. “Customer-centricity is driving our way forward and we hope that our cardholders will take advantage of this facility and continue to enjoy the benefits and features that accompany our range of products,” concluded Gamal. 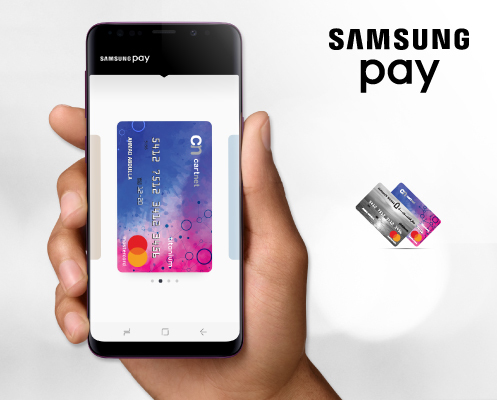 Samsung Pay is a beneficial, secure, and simple mobile payment service that can be used by consumers of Finance House to make purchases anywhere. Samsung Pay works with Samsung’s patented Magnetic Secure Transmission (MST) technology as well as with Near Field Communication (NFC). MST replicates a card swipe by wirelessly transmitting magnetic waves from the supported Samsung device to a standard card reader. Through MST, Samsung Pay will work seamlessly on most point of sale terminals in the UAE. The UAE is the first country in the Middle East to introduce the service and the 14th in the world. In just under two years since its initial launch, Samsung Pay is now present in 22 countries, including those with early access.